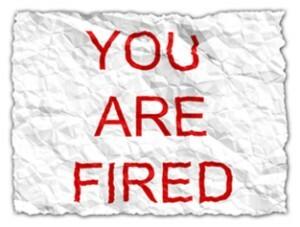 If an employee contravenes your company's shoplifting policy, you have the right to fire them, don't you? Apparently not always, as a current case against Walgreens goes to show. Last week, a California federal judge refused the company's request to throw out an Equal Employment Opportunity Commission lawsuit against them – a lawsuit that's already been going on for nearly three years. The drama is all over a $1.39 bag of chips, and disagreements over the definition of stealing and the protections of the Americans with Disabilities Act. Josefina Hernandez is diabetic, and had been working for Walgreens for 18 years with no disciplinary record. But one day at work she realized her blood sugar was low, and she reached for a bag of chips to rectify the situation as soon as possible. She paid for the bag as soon as she came off cashier duty, but because she had opened the bag before paying, she was fired under the store's zero-tolerance shoplifting policy. It wasn't long before the company was pursued by the EEOC, which claims Hernandez should have been accommodated for because of her diabetic condition. While some have rallied to her support, others have pointed out that a win for the Walgreens employee would undermine employers' rights. The case will continue in California courts.